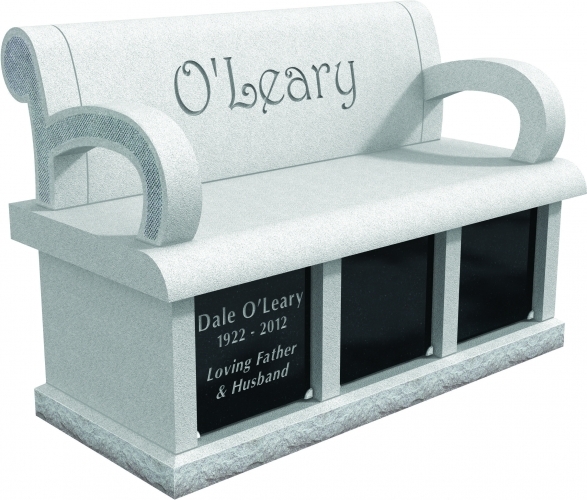 Custom Mausoleums For Your Loved Ones By Supreme Memorials. 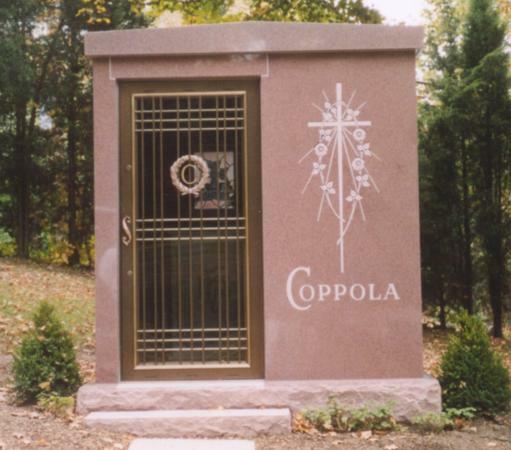 For over 60 years, Supreme Memorials has been providing New York with one-of-a-kind mausoleums that have helped families remember their loved ones forever. Throughout the years we have preserved the same values and skills that our founders based the company on. Between our locations throughout Brooklyn and Staten Island we're proud to be one of the largest gravestone, mausoleum and columbaria provider throughout New York! Supreme Memorials has decades of experience building mausoleums for families, cemeteries, churches, and governments. We provide a variety of mausoleum options that can include hand-carved sculptures, columns, stained glass, etchings, and other custom options. Private family mausoleums allow the family be in total control of how they will be remembered for decades to come. A private family mausoleum perpetually stands as a testament to a family's style, distinction, and accomplishment - a lasting symbol of lives that truly made a difference. There are many design options for the building layout, exterior, interior, and perpetual landscape of their mausoleum site. Unlike a private family mausoleum, community mausoleums are affordable, convenient, and provide an everlasting memorial to those entombed within. Families can purchase a space in a community mausoleum for one family member, or for their whole family. Some community mausoleums offer a semi-private space for families to purchase. 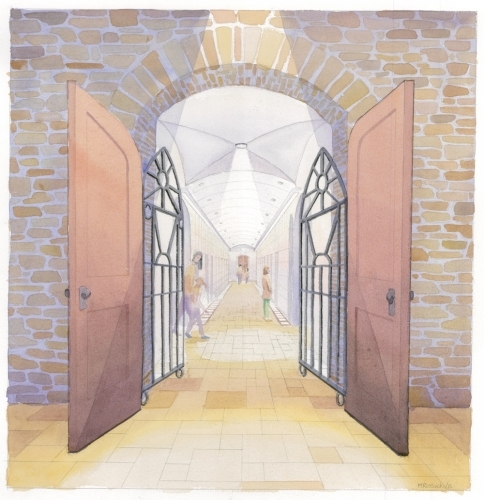 For families wishing for above-ground entombment that cannot afford a private family mausoleum, or does not wish to undergo the planning involved with creating their own eternal estate, a community mausoleum is a viable choice. A sarcophagus is an above-ground tomb. 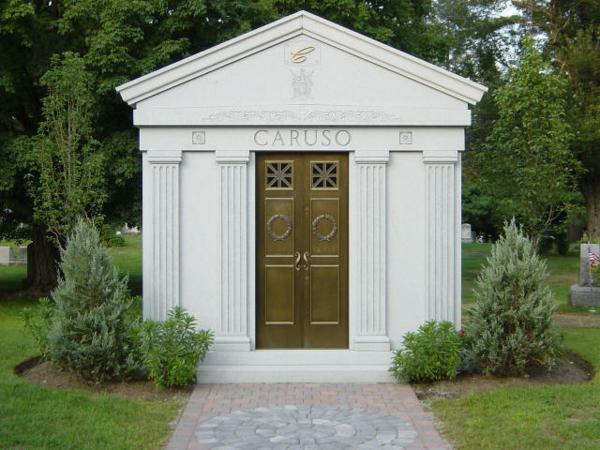 Unlike a private family or community mausoleum, you cannot walk into a sarcophagus. A sarcophagus can be designed for one interment or to hold dozens of interments. We often get requests to build custom columbaria inside of existing mausoleums and other structures, such as churches and chapels. At Supreme Memorials, Inc., we will work with you to create a design that fits seamlessly within any existing structure and work carefully and diligently as to not disrupt the surroundings in any way. Freestanding columbaria can be designed as single or double-sided structures, curved walls, or as complete walk-in structures. No matter what design you're looking for, Supreme Memorials, Inc. has the expertise and skill needed to build any freestanding columbarium from the ground up. From drafting the initial design and constructing the foundation to carving the last finishing touches, our team can handle any size of project from start to finish. When you need mausoleums for your loved ones that you've lost, please contact us today for custom work that will last forever. 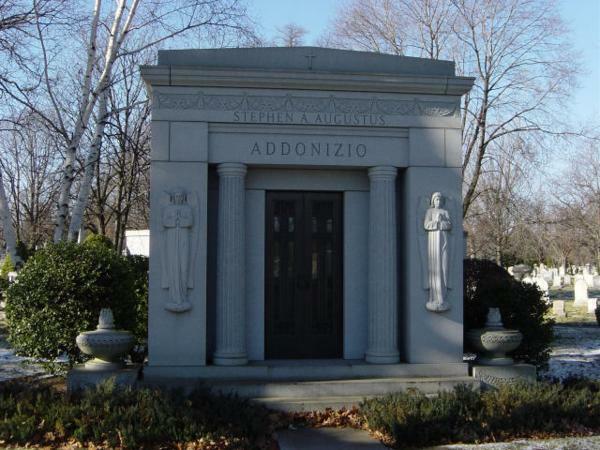 We proudly serve the greater Staten Island and New York areas with our one-of-a-kind mausoleums, columbariums, cremation memorials and more.